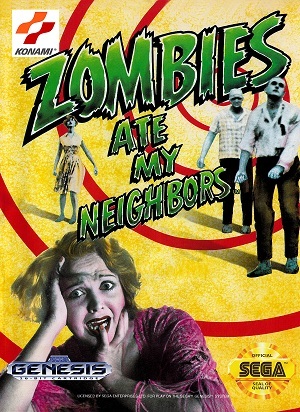 Saving your poor, defenceless neighbours as you fight your way through hordes of zombies, mummies, vampires, and even chainsaw wielding men is the aim of the cult classic, Zombies Ate My Neighbours. 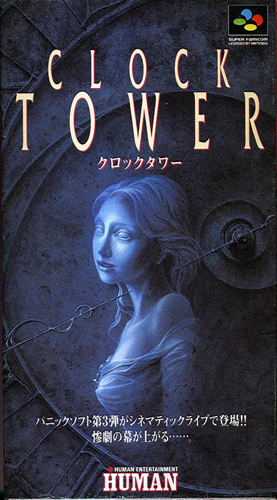 With a musical score and enemies that would make any B-Horror film lover squeal, this particular game was – and still is – a personal favourite. I’ve never actually been able to finish ZAMN, causing me much frustration as grew up. I first played it at the age of 9, and until last year, I had no idea there actually was a story that (kind of) tied the game together. It stars Zeke and Julia as they save their neighbours from a wide array of monsters that have been unleashed on their suburbs by the deranged Dr. Tongue. Armed with only a water gun and a first aid kits, these teenage monsters hunters set out on their journey, traversing lakes, castles, pyramids, dungeons and even shopping malls to set things right. This game is basically the embodiment of any respectable B horror movie – it’s very tongue in cheek, not only through it’s presentation, but it’s quirky gameplay dynamics, plot and characters. It has what any good homage to the genre has: film references, over the top music, loveable characters and a constant stream of humour. The game simply shines through it’s humour, especially through it’s monster cliches and level names (Such as ‘Forty Feet of Terror in: Level 8: Titanic Toddler‘, ‘Level 33: Fish and Crypts‘, and the special ‘Credit Level: Monsters Among Us‘). It features an overhead view that allows the player to see the field with ease. It’s pretty useful, especially when you need to know how to access certain areas or avoid a horde of enemies waiting on the other side of a fence. The player starts with three lives and ten victims, the number of which carries over depending on how many you saved in the previous round. The loss of all neighbours results in a game over, as does the depletion of your life bar, which can sustain ten hits before you’re knocked out. A password system is also available, although inserting a password results in the player being only equipped with the standard water pistol and a single first aid kit. Although it’s not necessary, it’s highly recommended to play in cooperation with another player. It gets difficult saving your teachers, cheerleaders and whimpering soldiers when you’re fighting giant babies, evil dolls and beady eyed martians just by yourself, so having a trusty sidekick is preferable. Speaking of fighting, ZAMN has the most interesting weapon arsenal at your disposal – which includes silverware, soda grenades, weed whackers, and bazookas to name a few. 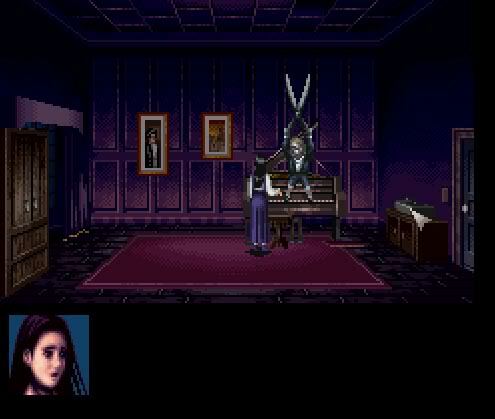 The graphics are, as you would expect of 1993, 16-Bit and work well with the chosen dark pallet of the game. Not only does it give the game visual appeal, but it causes it to reflect the dark, grainy and almost superficial tones that are indicative of B horror movies. The music does well to accompany it, utilising a quirky score that fits the game perfectly. It’s a sort of second rate “scary”, being both whimsical and spooky at the same time. They’re also highly memorable, especially for the first theme, and specific tracks are used for specific settings to essentially create miniature films for the player’s pleasure. I have loved this game ever since I discovered it at the very end of my brother’s emulator back in my childhood. Standing the test of time and the progression of technology, Zombies Ate My Neighbours is an addictive game that will frustrate you and just as equally satisfy you. Whether it’s raging at the tourists who transformed into werewolves or the pleasure of entering the end stage door at the last second, ZAMN is a game that should be – no, deserves to be considered in Gaming’s Hall of Fame. Everyone – and I mean everyone – instantly remembers this iconic theme song upon the mere mention of the word Tetris. It was, and still is to this day, one of the world’s most addicting games. Being ported to a huge variety of consoles, any person (and anyone who claims to be a gamer) has at the very least played a round of this never-ending game. And with that cover, I took it upon myself to find out any other ways the song we all know and love has been updated, changed or had some flavour added to it. 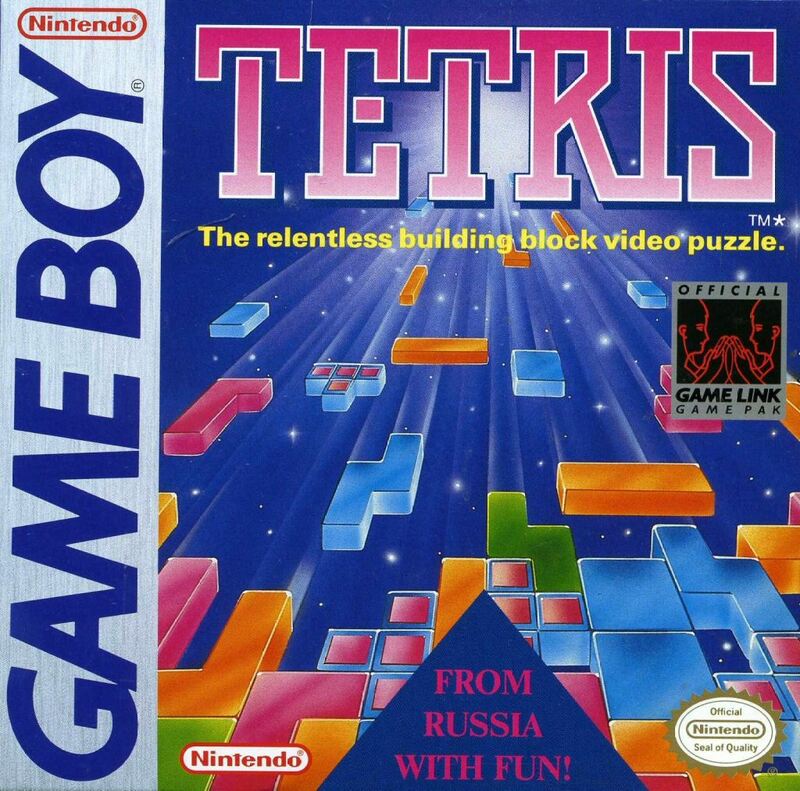 It first began with the original theme – the theme based on “Korobeiniki” (A Russian folk song) that was introduced in Nintendo’s Gameboy Colour Version. This next one is something at first I was sure wasn’t real – the tetris theme song being played on a laser harp. You read that right, laser. There’s a good build up to the real thing in this video, and by following it through the right links, you can find yourself seeing it in double the speed (which is scarily similar near game over!). Now I love a good acapella – and this one is pretty darn good. Just try to focus on a single sound and try to see which face is making it. You’d be surprised how similar it sounds to the real thing! Finally, this last one is the tetris theme song played on an accordion. I don’t know much about the instrument, or how difficult it may be to play it, but boy do his finger work some magic. Check it out! And there you have it! Five different version of the “A” theme of Tetris – a song full of memories of a much more simpler time. Got any other nostalgic gaming hits that are always on the back of your mind? Be sure to leave a comment, or better yet, find a newer (and more awesome) version of it and just enjoy. Sometimes its better to turn back the clock. There’s no doubt in my mind that I simply love retro gaming. 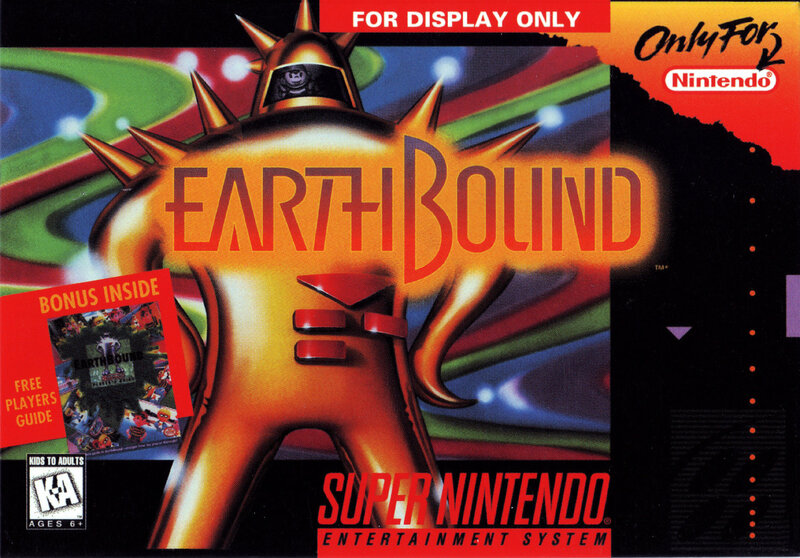 I do have a long list of all the best games that you all should totally play, but for today, I’d like to let you all know of the priceless antique known as Earthbound (Also known as Mother 2). I remember playing this on an emulator at a very young age and I’ve probably replayed it more than 10 times throughout my years. And I must say, this oldie never truly gets old. The story opens with our silent protagonist, Ness (Fun Fact: Ness is an anagram of SNES), waking up after a meteorite hits a nearby hill on Onett. When the annoying kid next door urges you to follow him, he meets an alien known as Buzz Buzz who tells him he will embark on an epic quest to rid the world of evil. With the story taking place in, well, practically all four corners of the world, Ness and 3 other chosen heroes set out to defeat the evil entity known as Giygas. Now for a game that was made in Japan, it certainly feels like a JRPG… but also doesn’t. Whilst traditional games during that era were predominantly set in the middle ages and featured wizards and swordsmen, Earthbound had kids armed with baseball bats and frying pans. It’s chock-full of references to pop culture (Like an interesting Yellow Submarine) and is, as a whole, a bright and colourful take on epic quests. The story is certainly out there – 4 Kids against the world. Literally. The alien entity known as Giygas basically exerts his evil influence on everyday people, animals, machines, zombies, coffee cups and records to name a few. The world of the game, Eagleland, is based on the United States (With a name like that, who knew?) and gives rise to myriad of quirky comments and interesting remarks about Western and Eastern cultures. The game itself is pretty simple to play though: it has an ordinary levelling up system, a turn based battle system, status effects that affect the party in and out of battle, an ATM to store the money your dad gives you… Wait, hold on a minute. Music is definitely an integral part of the game, and many of the 8-Bit tracks are unique in their own way. It’s definitely an engaging part and it just works so well with the visuals. The graphics evoke distinct moods in the player, evident in the happiness felt as you travel along the streets of your home town, the melancholy in leaving it, the excitement of the big city and the fear in traversing through dark dungeons. The countless sprites and objects that lay throughout the world of Earthbound are without a doubt interesting to look at and provide an interesting sense of humour. Especially when you decide to talk to it (like a black sesame seed in the middle of the desert). Honestly, it’s hard for me to choose my all-time favourite retro game – it’s always a tie between Final Fantasy V and Earthbound. But despite that little toss-up, this game will forever be a timeless classic in my heart. It really does have it all for me – JRPG elements, an interesting plot, humour and art all in an excellent blend of retro goodness. It’s disheartening knowing that it may never get the glory it truly deserves, although the recent port into the Wii U warms me up just a little. If you’re a fan of good old games or just want to experience something hilarious and different, please give Earthbound a go. You’ll feel better than a bunch of “Fuzzy Pickles“. Recommended? Avenge Buzz-Buzz! Play this now!